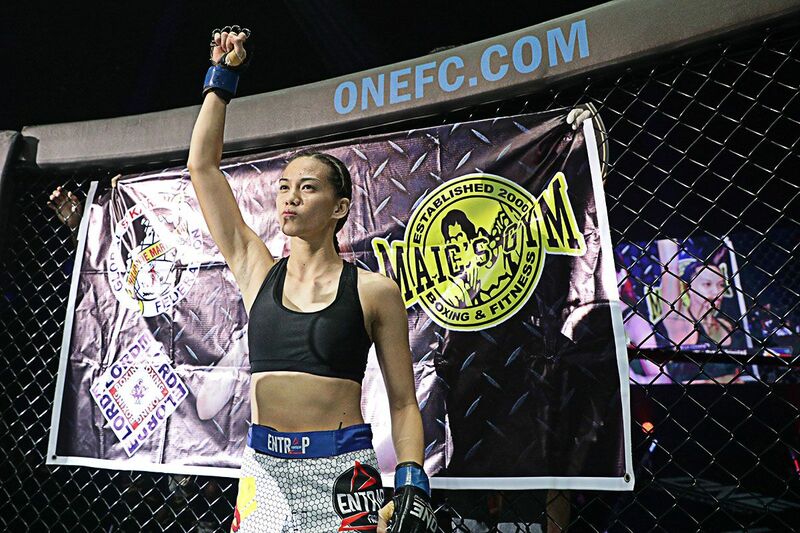 Filipina warrior Rome “Rebel” Trinidad will walk to the ONE Championship cage on Saturday, May 12 with a mixed martial arts legend by her side. Andrew Benibe, a household name in the established local mixed martial arts scene in the Philippines, will be part of the entourage of Trinidad as she is scheduled to square off with hometown hero Priscilla Hertati Lumban Gaol on the undercard of ONE: GRIT AND GLORY in Jakarta, Indonesia. It was a bitter pill to swallow for a young and dedicated cage competitor like Trinidad when she yielded to Thai standout Rika Ishige in her promotional debut this past December. Trinidad suffered a second-round submission loss to Ishige at ONE: WARRIORS OF THE WORLD in the Thai dynamo’s homebase of Bangkok, failing to ace her maiden assignment under the ONE Championship banner. Although the thrilling atomweight bout against Ishige put fans at the state-of-the-art Impact Arena on the edge of their seats, Trinidad was left disappointed with the outcome of the match. “I believe that I could have done better in that match, but I came up short. I just realized that there was something missing,” she admitted. “It was my first time to fight internationally, and I lost. It gave me motivation to keep going, get better, and be more aggressive. Most of all, it taught me to be humble in all aspects of my life,” Trinidad added. The submission defeat to Ishige forced Trinidad to reassess on how she handles her training camp when she prepares for an upcoming bout. During her time of contemplation, Trinidad found a much-needed help in Benibe, a former Philippine bantamweight champion who currently works a mixed martial arts trainer at Maic’s Gym in Marikina City. “Right now, I have a tremendous support system in my training, especially with the help of my coach Andrew Benibe. He knows how to bring out the best in me,” Trinidad said of Benibe. Having 17 professional bouts under his belt, Benibe has been a staple of the Philippine mixed martial arts circuit since 2006 and has shared the stage with the industry’s notable figures such as Mark Eddiva, Jessie Rafols, Will Chope, Reysaldo Transmonte and Mark Striegl. Moreover, Benibe made a one-off appearance inside the ONE Championship cage when he took on Team Lakay’s Honorio Banario at the organization’s first event on Philippine soil in August 2012. Now sitting on the coach’s stool to oversee Trinidad’s training, Benibe claimed that his pupil is ready for anything as they have been working on all elements of the game in preparation of her cage encounter with Gaol. The partnership between Trinidad and Benibe will be tested for the very first time as the Filipina combatant returns to action on Saturday to face the hot-streaking Gaol at ONE: GRIT AND GLORY. Gaol has won two-straight matches to kick off her 2018, defeating Malaysia’s Audreylaura Boniface via first-round stoppage last January before submitting Filipina newcomer Krisna Limbaga a month later. 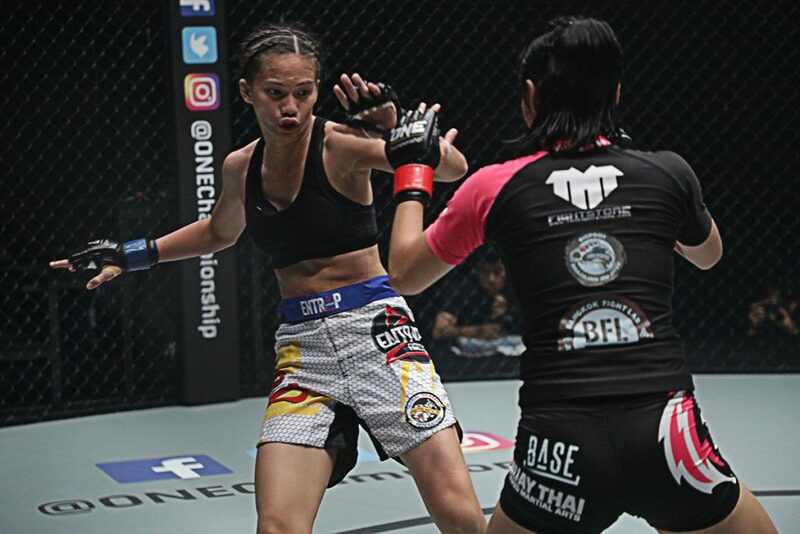 The 21-year-old Marikina City resident seeks to make an astonishing statement in her second ONE Championship outing as she battles Gaol at ONE: GRIT AND GLORY. “I want to win so bad. I have dreams and aspirations as a competitor. In order to turn those into a reality, I have to win first. This is the first step,” she stated. “I have the best coach in my corner. I trained with the most talented athletes in the sport for this bout. With that said, I’m oozing with confidence coming into this match because I have my team behind me,” she concluded.